A very huge thank you goes out to Allison Renner for all the great work and time she’s put into managing the YALSAblog for the past two years! Thanks so much Allison! 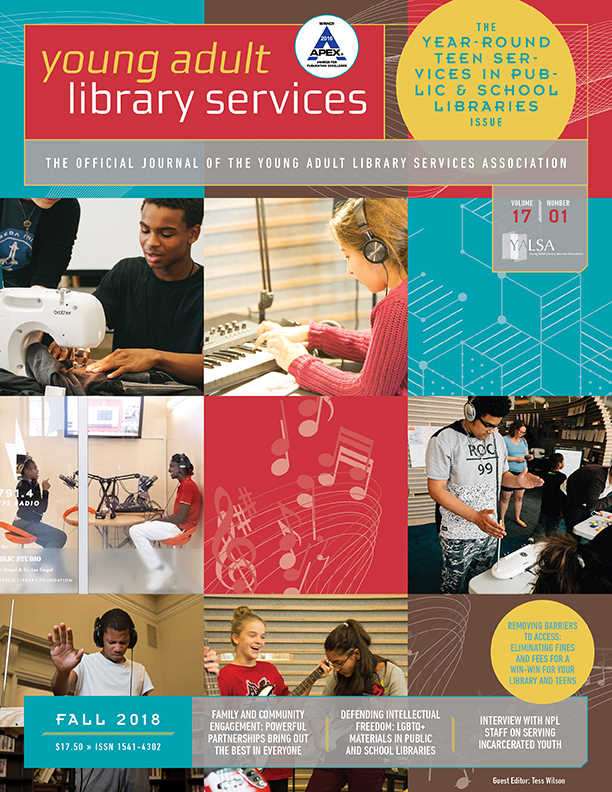 YALSA seeks a Member Manager for the YALSAblog. The volunteer position will be for a one-year term starting December 1, 2018 December 17, 2018 with an option to renew for a second year, based on performance. Resumes and cover letters must be sent via email by November 15, 2018 November 28, 2018 to Anna Lam at alam@ala.org. 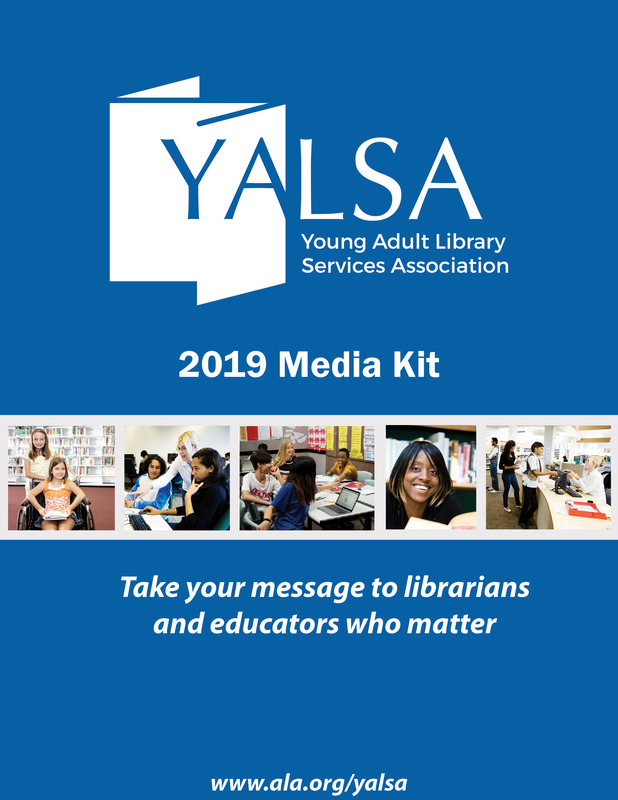 The Member Manager will co-lead an advisory board that oversees the preparation of content for the blog and solicits content from the YALSA community. The Member Manager will receive an honorarium of $500 per year plus $1,000 total towards travel to the Annual Conference, Midwinter Meeting, or YALSA’s YA Services Symposium while serving as Member Manager. The Member Manager may choose to allocate all of the $1,000 travel allowance towards one conference or amongst several. 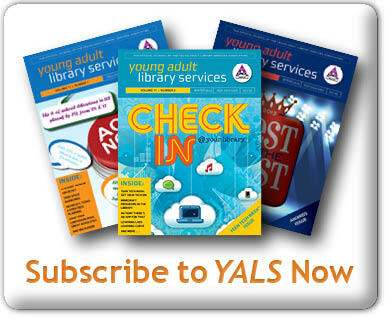 The mission of the YALSAblog is to provide a virtual space for publishing timely information about emerging and new practices for library services for and with teens, to explore practices in related fields relevant to teen services, to raise awareness about appropriate YALSA tools to facilitate innovation in teen services, and to provide resources for members and the library community to support their efforts to continuously improve their overall teen services program. Excellent verbal and written communications skills, in order to manage content and communicate with existing and potential content providers and developers. Experience in web publishing with responsibilities including but not limited to: utilizing video clips, audio, and social media, maintaining a high standard of writing, and ensuring compliance with policies created for the maintenance of the site. 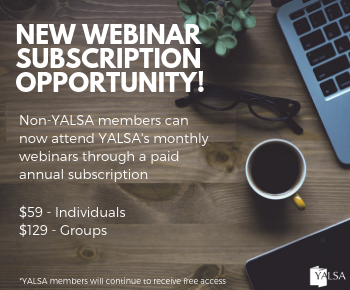 Communicate with the YALS/YALSAblog Advisory Board, bloggers, YALS Editor, and the YALSA Communications Specialist on a regular basis in order to generate ideas for content, assign posting topics, and discuss blog management. Work closely with the YALS Editor as co-chairs of the Advisory Board. Support release of YALS issues by recruiting bloggers to write companion pieces. Outreach to YALSA committee chairs to solicit posts. Work with The Hub Manager to support cross blog collaboration. Manage blog postings daily to guarantee quality of content and appropriate tagging and category identification. Work with the Advisory Board to manage comments. 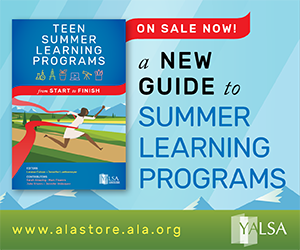 With the Advisory Board to set a direction for the blog, plan an editorial calendar, and determine nominees for the YALSA Writing Award. Review and update blog policies and guidelines. Attend the YALSA key sessions at Midwinter, Annual and/or YA Services Symposium to recruit bloggers and inform committees/taskforces/juries about the blog. Work with bloggers to blog about their conference experiences. Write reports prior to the Annual Conference and Midwinter meeting for submission to the YALSA Board. Submit quarterly reports with YALS editor about the work of the Advisory Board. Update and manage blog software, update theme to keep YALSAblog looking professional. Keep track of add-ons and plug-ins to blog software to make sure they are up to date and to add to blog as necessary. Work collaboratively with The Hub Manager, YALS and JRLYA editors as appropriate to coordinate dissemination of information to members and the library community. Answer questions and inquiries about the blog in a timely fashion. Follow all established blog policies and guidelines, enforce them as necessary and periodically conduct a review of them to ensure currency. Candidates must send a cover letter and resume, that includes project management, editing and web publishing and maintenance experience via email to Anna Lam at alam@ala.org by November 15, 2018. Please note that this is not a salaried staff position, but a member volunteer opportunity. Please direct questions to Anna Lam at alam@ala.org. Tagged Member Manager, volunteer opportunity.